Coronado, CA (January 18, 2019) – Orange County Partner Keri L. Bush and New York Partner Alecia Walters-Hinds will participate in a panel discussion at the DRI’s Women in the Law seminar taking place January 23 - 25 at the Hotel Del Coronado. Moderated by Ms. Bush, Ms. Walters-Hinds will square off with Sharla J. Frost, a partner at Tucker Ellis LLP, to showcase their closing arguments in a top-notch case study, demonstrating how to weave facts together, deliver a client’s message with confidence, and end your trial on high note. The DRI’s Women in Law Committee aims to bring together women attorneys to connect and grow. This seminar will serve as a great opportunity to network with other women in the legal industry, as well as learn new strategies on how to successfully navigate through difficult situations. Ms. Walters-Hinds has tried over 100 cases and taken over 50 verdicts. She currently serves as the vice president for the New York City Chapter of American Board of Trial Advocates (ABOTA) and has handled a lot of high exposure cases, resulting in favorable verdicts or favorable resolutions through mediation or during trial. 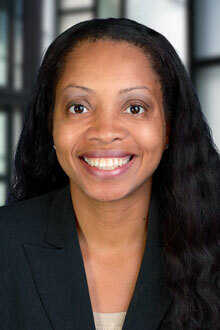 Ms. Bush specializes in defending and advising business on labor and employment law matters. An experienced litigator and arbitrator, she is a frequent speaker and moderator at DRI seminars. Learn more and register for the seminar here.